A Tunisian soldier has opened fire on his colleagues at a military base in Tunis, killing seven soldiers and injuring 10 more before killing himself, authorities said, adding that outside involvement is not suspected. An army colonel is among the victims. Two military helicopters were hovering overhead as officers were searching a nearby mosque and cars between the base and Bardo National Museum where March shootings took place. A nearby school in the capital was evacuated. 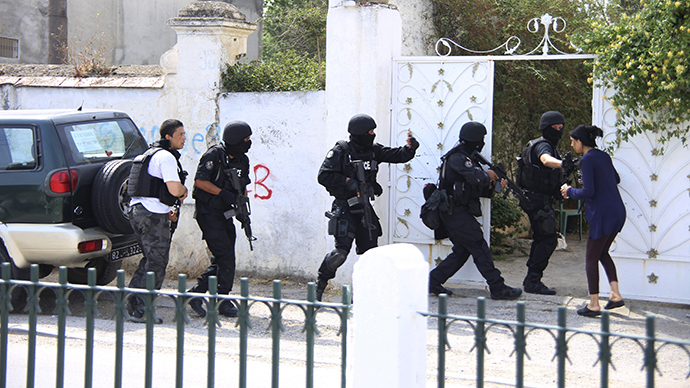 Tunisian forces have been on high alert since the deadly shootings at the Bardo Museum in the Tunisian capital in March. A total of 23 people were killed, including 18 foreign tourists, five Tunisians and two gunmen, while 50 more were injured. Jihadists affiliated with Islamic State (formerly known as ISIS or ISIL) claimed responsibility for the deadly attack. Security forces arrested nine people in connection with the attack, according to a statement issued by the president’s office. Five of the arrested were directly connected to the attack, while four others were from a supporting terrorist cell, it added.